A screenshot of the moment on video when MP Leo Docherty discussed UK Sausage Week and his local butcher A Turner & Sons. 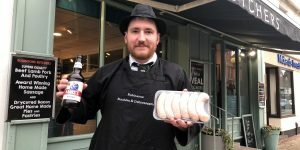 UK Sausage Week was the talk of the Houses of Parliament on 1st November when MP Leo Docherty discussed the campaign and his local butcher A Turner & Sons. Docherty is the local MP in the Aldershot area, and is an ex-military guide. 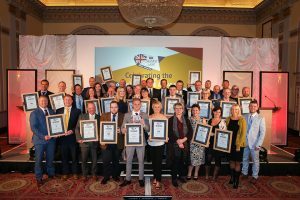 He learnt about A Turner & Sons’ recent success as a category winner in the UK Sausage Week awards when calling the business to congratulate the team on raising funds for Help For Heroes. 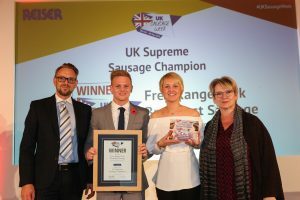 Paul Turner of A Turner & Sons took the opportunity to turn talk to sausages and informed Docherty that his Best of British sausages had won the Manufacturer Own Brand Traditional category. When Docherty found himself in parliamentary debate in the House of Commons he couldn’t resist linking sausages to the Budget discussions. 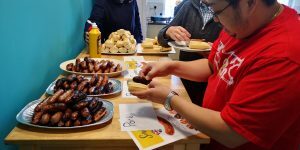 He explained that the company is successful because, by reducing business rates, the Government is letting it “get on with doing what it does best, making great sausages”. Docherty told Parliament: “I welcome the Budget very much and especially the cut in business rates. 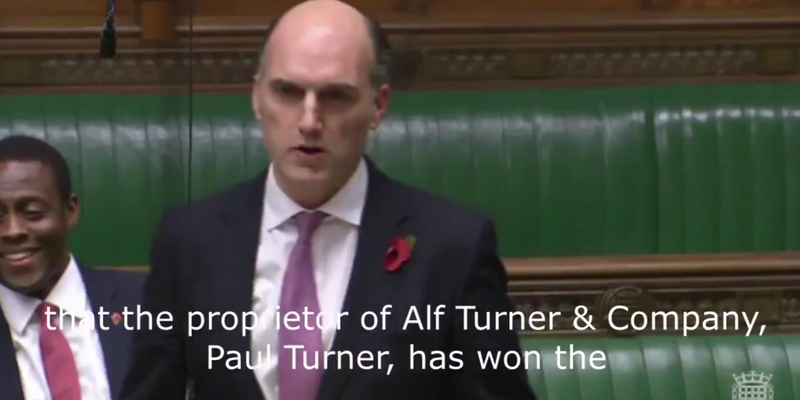 This will have a hugely positive impact on many local businesses in my constituency, including one business in Aldershot, Alf Turner, which is a butcher of long-standing establishment in Aldershot having been created in 1956. 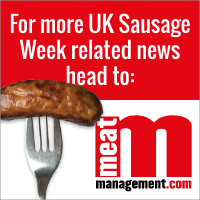 Paul told the UK Sausage Week team that Docherty intends to visit the shop and is wanting to buy some sausages.